Samuel ran down the steep dirt track lined with blue and pink houses desperate to escape. The 20-year-old took long strides and ran from one side to the other in a zigzag. He begged for someone to open the door of a house so he could hide, but nobody did. 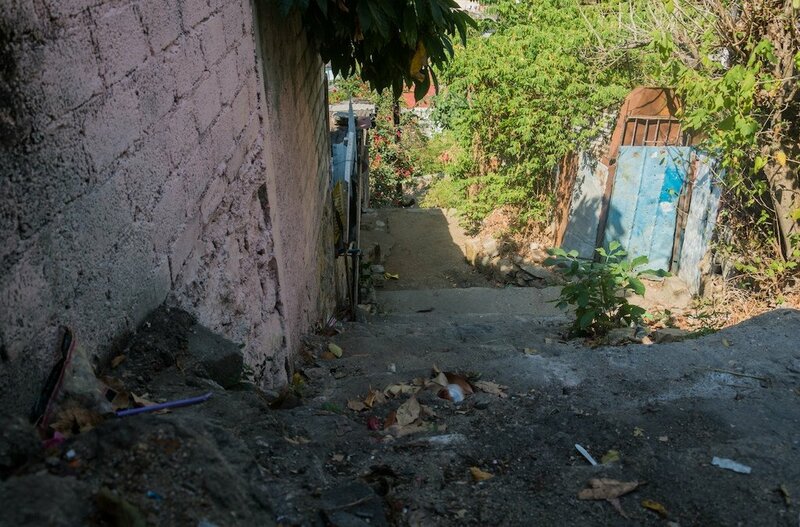 That mid-morning, the poor and violent neighborhood of La Laja in the Mexican resort city of Acapulco seemed suddenly deserted. A few moments before, three gunmen had burst into a tortilla shop called Los Mangos, where Samuel worked, and started shooting. His only co-worker, Rodolfo, had also escaped those first bullets. But, as Rodolfo fled to the roof he was shot in the back. He fell from the first floor to the ground, dead. His corpse lay at the entrance to the business. Samuel knew he was the next target as he hurtled down the track. One of the gunmen who looked about the same age as him, took aim and fired his 9mm pistol, but he missed. This allowed Samuel to reach the tarmac and the possibility of reaching the corner and into an alley that would have taken him out of sight of the hitman. He was within 10 yards of the turn when the bullet pierced his skull and he collapsed to the ground. The gunmen, thinking their job was done, left. Samuel Sotelo Jurado died in the hospital a few hours later. It was January 7, 2016. This reconstruction of Samuel’s murder draws from witness accounts told to VICE News a month after the event. The Los Mangos tortilla shop, and its red door, have been closed since the shooting. Some old wooden boards are stained with what looks like blood. A small burnt wallet lies on the counter. There is nothing else to indicate that two young men were killed there a month ago, other than the fear that hangs in the air. The deaths at Los Mangos are just two of many associated with a drug cartel war on the tortilla industry in the southern state of Guerrero — where dozens of criminal groups fight for control of opium poppy plantations in the mountains, and drug shipment and distribution spots in the cities. Three days before, two other tortilla workers were killed in Cañada de los Amates, another Acapulco neighborhood. Two more were murdered on the same day in the Loma Bonita area. Tortillas are eaten most days by the majority of Mexicans, particularly the poor, but corn in Mexico has never been just food. The cultural centrality and multiple uses of corn in Mexican cooking was the central pillar supporting the 2010 decision by UNESCO to include Mexican cuisine in its list of the Intangible Cultural Heritage of Humanity. This came after a campaign mounted by the government backed by the powerful multinational Grupo Gruma that dominates the production and sale of tortilla flour and whose director is known as the Tortilla Czar. The tortilla industry celebrated the decision loudly. 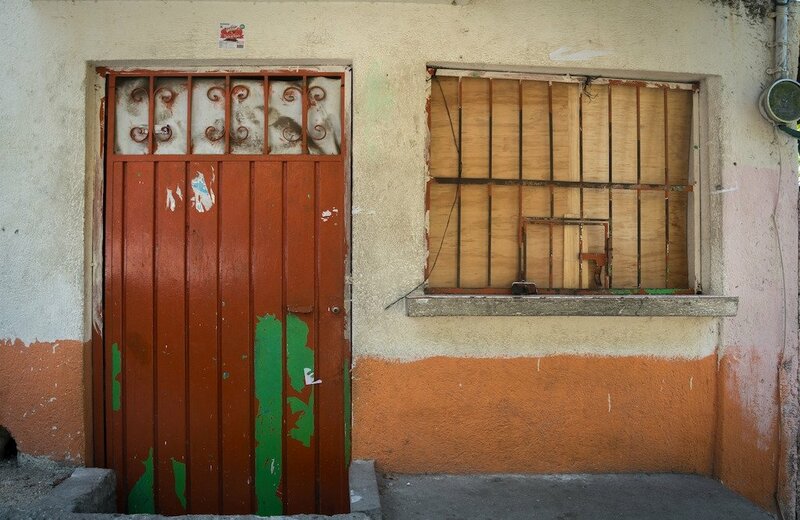 Four years later tortillerías in Guerrero are struggling to survive. 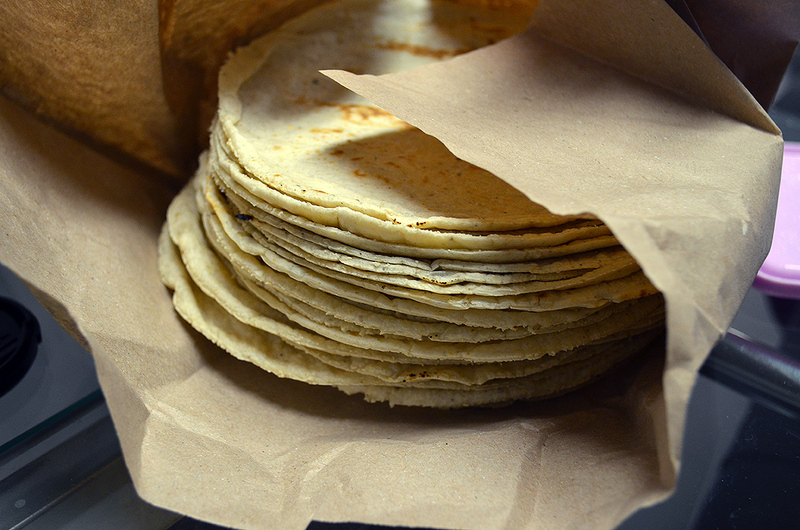 In 2014, when the troubles really started, there were 285 tortillerías in Chilpancingo, the capital of Guerrero, that lies in the mountains about a three hours drive from Mexico City and an hour from Acapulco. Tortillas are typically concentrated in the poorer barrios which also tend to be where criminal groups tend to have their bastions. They are sold in small shops with a street view or distributed by young men on motorcycles who go door to door. The cartels in Chilpancingo, such as Guerreros Unidos and Los Rojos, realized that the tortilla shops offered a route for expanding their criminal activities. If they could control the business owners and the workforce, they would acquire well-placed drug distribution points, street dealers, and lookouts — all under the facade of a legitimate and ubiquitous business. That control began with kidnappings of shop owners and workers in Chilpancingo. Locals say they might be abducted during the day or night, from their homes or businesses, and then locked up in security houses for around a week. The ransoms ranged from 30,000 pesos ($2,100) to two million pesos ($140,000) in 2014, depending on the victim. Freedom after payment of the ransom came with a warning that the victims must cooperate in both the distribution of drugs and the cartel’s need for lookouts, or halcones, or the businesses would be closed. Abdón Abel Hernández, leader of the Chilpancingo tortilla sellers, knows this first hand. He says he has lost count of the number of times he has been threatened. One time, he was kidnapped himself and had to borrow a million pesos to pay his captors. Hernández once had 17 tortilla shops, but now he only has 11. He says that around 35 percent of the industry has shut down out of fear leaving only 185 tortillerías in the state capital. The tortilla leader agreed to talk in the Chilpancingo offices of the Mexican Confederation of Business Owners, or Coparmex. He was joined by Adrián Alarcón, regional president of the Coparmex, and two armed bodyguards that watched over the entrance of the building. Alarcón said he also lives under constant fear of death for trying to defend the threatened members of his union. 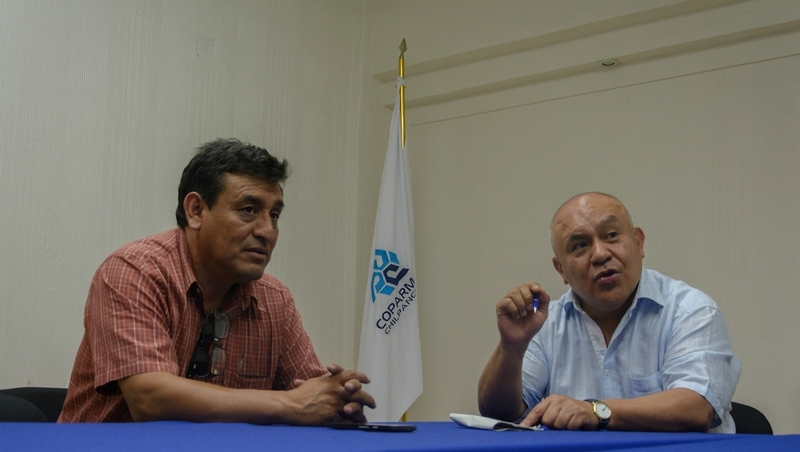 The Coparmex leader said that 35 businessmen were kidnapped and tortured in the central region of Guerrero in the first two months of the year. He said most of the victims were associated with the tortilla industry. It is a long time since Acapulco bathed in the glamor of Elizabeth Taylor’s third wedding, or the sight of Elvis Presley lounging on a yacht crossing the same bay where John F. Kennedy also spent his honeymoon. Today, according to the office of Guerrero’s attorney general, 40 of the 50 criminal groups active in the state maintain a presence in Acapulco. Some boast titles that use the resort like a brand name — the Independent Cartel of Acapulco, or the United Special Forces of Acapulco. The resort has one of the highest murder rates in the country, with 104 homicides for every 100,000 people in 2015. The city’s last public security chief was dismissed after he failed to pass control examinations, known as trust tests, designed to identify possible links to organized crime. Miguel Flores Sonduk is the emergency substitute currently in the post. Two days after he was sworn in January 2016 a narco banner, or narcomanta, was strung up signed by a local leader known as “El Deivy.” The banner warned that his appointment would cause more deaths. Flores is in charge of 1,901 municipal police officers. But, he says, he expects that around 700 of those policemen will fail their next control examinations, and that 160 are already out of action because of injuries. A further 120 are over 70 years of age. That leaves 921 officers to provide security for the city of around 720,000 inhabitants. He says he has no way of hiring younger and healthier agents, as he would need millions of pesos to compensate those who aren’t needed anymore. He says his current budget provides barely enough to fill the tanks of patrol cars. The assault of the tortilla industry is not usually felt in the tourist zones of the city, but on January 8 this year the rash of murders prompted a demonstration of about 150 people who marched along the Miguel Alemán coastal road to honor their dead and demand justice and help. Local businessmen say that at least 20 members of their union have been killed and 800 tortilla shops have shut. Getting ready to enter in areas of Acapulco where the city’s threatened tortilla shops are located is like preparing to go to a war zone. First the police opt for a truck, instead of a patrol car. One officer stands at the front of the truck holding an automatic rifle ready for an ambush. 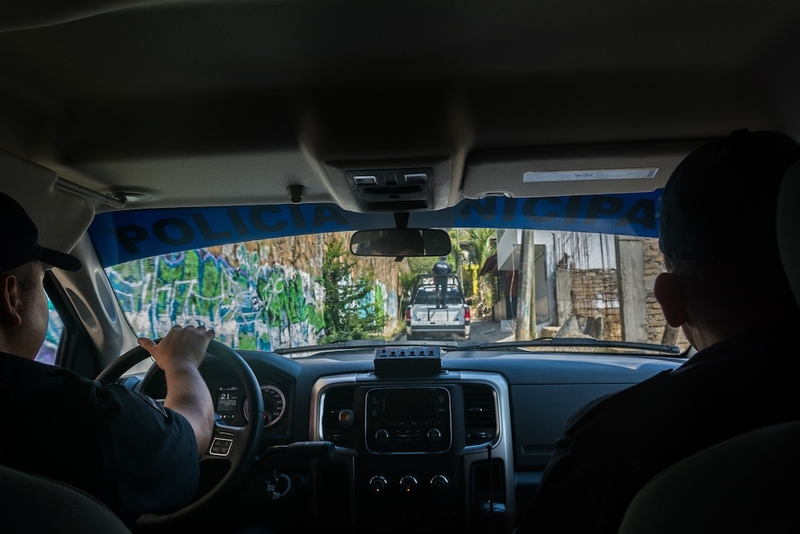 Officer Óscar Sedano drives the truck wearing a bulletproof vest and with two loaded guns within reach. The co-pilot sits with a pistol on his right leg and an assault rifle leaning against his left leg. He is our guide for the day, officer Doroteo Eugenio Vázquez, the 53-year-old chief of the city’s preventive police unit. Vázquez suggests going to Palma Sola, a place where one man was slashed and shot to death three days before. As the truck makes it way through alleys, the road begins to get steeper, filled with abandoned cars, watchful young men, and graffiti indicating which group has control of the territory. “Things are heavy here,” Sedano, the driver, says stating the obvious. It would only take two cars to block the alley and leave us at the mercy of gunmen. After a few minutes, the truck parks on the Niño Perdido or Lost Child street, in front of a tortilla shop called El Samaritano. Juan Ibarra, the store clerk, frightfully watches the policemen from the inside, and places himself to the wall. When he finds out we are journalists, he is relieved and able to breathe again. The truck begins to move again, taking us to La Laja, a place where tortilla sellers ended up in a coffin. Going there is riskier, so the police call for more reinforcements in two more trucks. One of them drives ahead of us, and the other watches our back. The road continues to narrow. The sense of being watched is palpable. After a half an hour drive, the convoy stops in front of Los Mangos tortilla shop, a shutdown store with a burnt coin purse over the counter. The neighbors look out. 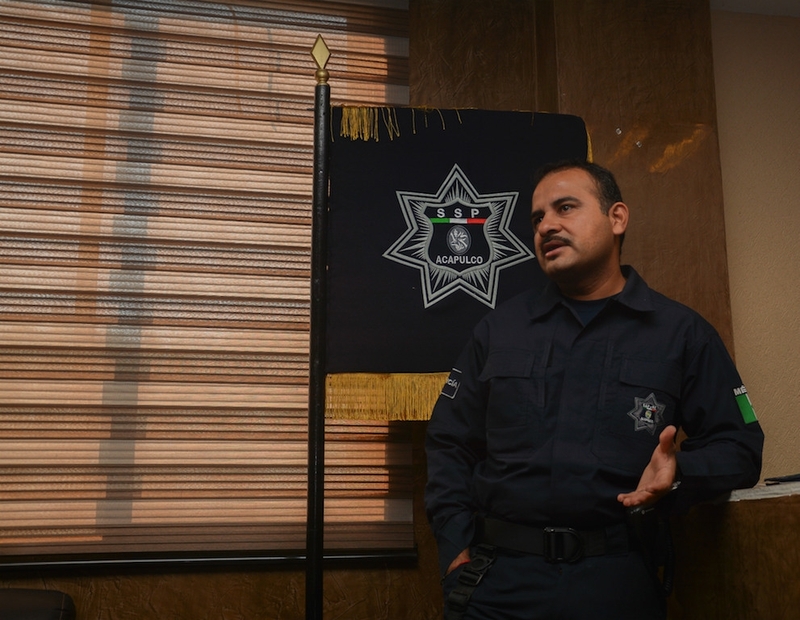 One of the officers in our caravan, Octavio, tells the story of Samuel’s desperate flight and ultimate death. He talks about the way the footprints were in the dirt road, he imagines the fear the young man felt as he ran, the weight pounding on his chest, he remembers the words he said when he was lying dying on the ground. “Do you think Samuel will be the last victim of the war against the tortilla industry?” I ask him. “There are dead people in Acapulco everyday,” he answers. The convoy turns around and returns to Acapulco’s beachfront tourist zone. Behind us we leave five threatened tortilla shops, and at least seven employees who go to work everyday without knowing if they’ll return alive. Click here to bookmark On the Lighter Side.